This mod replaces all the objects on the map on transparent so aiming for the player has become more convenient and comfortable. This mod refers to the category Prohibition mods for user of which can receive a ban from WG. The responsibility for the decision to use this mod rests with the player. As you know the shell has a feature as to pass through objects and still cause damage to your opponents. For example cars, trees, houses, fences, walls and so on. Agree making such a shot you shoot on random. But if you install this mod all the objects on the map will be a transparent and your shell will not be diffucult for you. This modification greatly facilitates the player aiming, making it more efficient. 2. After starting press F10 and mod will make all objects transparent. 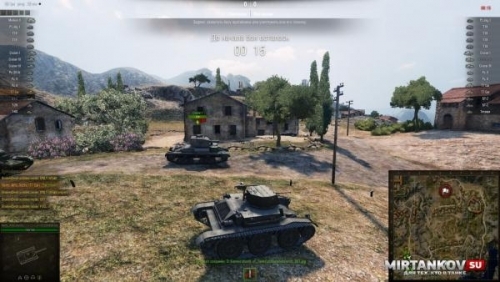 One Response to "[9.16] Cheat mod for WOT"